Whacking balls and running around a tennis court is a fun way to spend an afternoon, but it also may have an especially important long-term benefit. Players might be adding years to their lifespans, even more so than going to the gym or taking up other sports. That’s according to a study published in the journal Mayo Clinic Proceedings, which tracked nearly 8,600 adults in Denmark over roughly a quarter century. The subjects were part of the Copenhagen City Heart Study, an ongoing examination of the lives and health of thousands of men and women in Copenhagen. Slightly more than 1,000 of the 8,600 were sedentary, and the rest were exercisers. 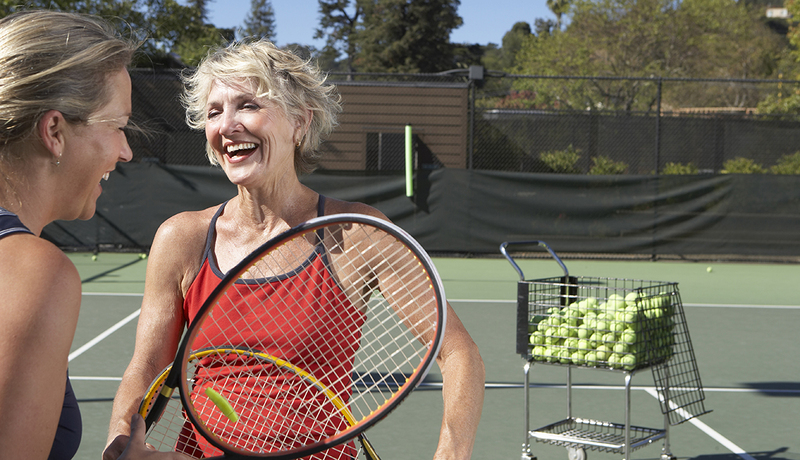 The researchers found that tennis players had the biggest gains in life expectancy over sedentary individuals, adding 9.7 years to their lives. Badminton players came in second, with an average gain of 6.2 years. Those pastimes were followed by soccer (4.7 years), cycling (3.7 years), swimming (3.4 years), jogging (3.2 years) and low-intensity calisthenics (3.1 years). Health club workouts, such as exercising on an elliptical trainer, using a treadmill or lifting weights, added just 1.5 years, the least beneficial result in the study. While different sports produced strikingly different gains in life span, the observational design of the study wasn’t sufficient to prove a causal relationship. The researchers suggested that it might not be just the actual exercise that made the difference, but also the amount of social interaction during an activity.